Its income from operations nearly tripled to Rs 226.9 crore from Rs 83.3 crore in 2007/08, profit after tax jumped to Rs 23.41 crore from Rs 4.4 crore and the profit margin almost doubled to 10.3 per cent. 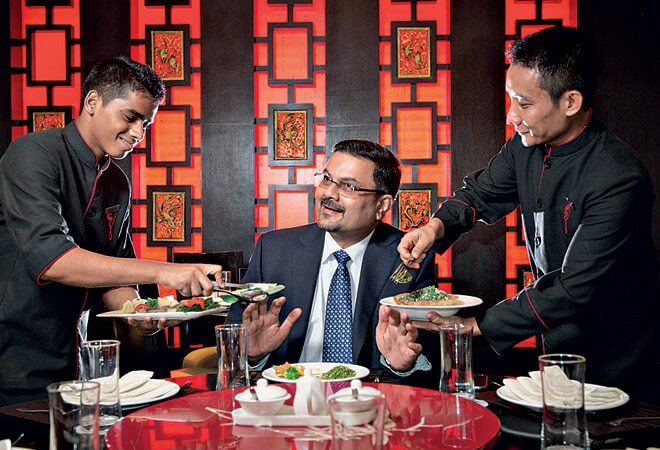 Rajesh K. Mohta, CFO, Speciality Restaurants. Photo: Rachit Goswami. Speciality Restaurants operates more than 100 restaurants under brands such as Mainland China. But not one is located in Mumbai's Bandra Kurla Complex, a commercial hub. Why? Because it didn't find any place that would give it a healthy return on investment, says Rajesh Kumar Mohta. That approach has helped the company improve profitability. Its income from operations nearly tripled to Rs 226.9 crore in 2012/13 from Rs 83.3 crore in 2007/08, profit after tax jumped to Rs 23.41 crore from Rs 4.4 crore and the profit margin almost doubled to 10.3 per cent. "It's not for visibility of whether you have 100 restaurants or 10," says Mohta. "If you have 10 restaurants and those are profitable, everyone is happy."